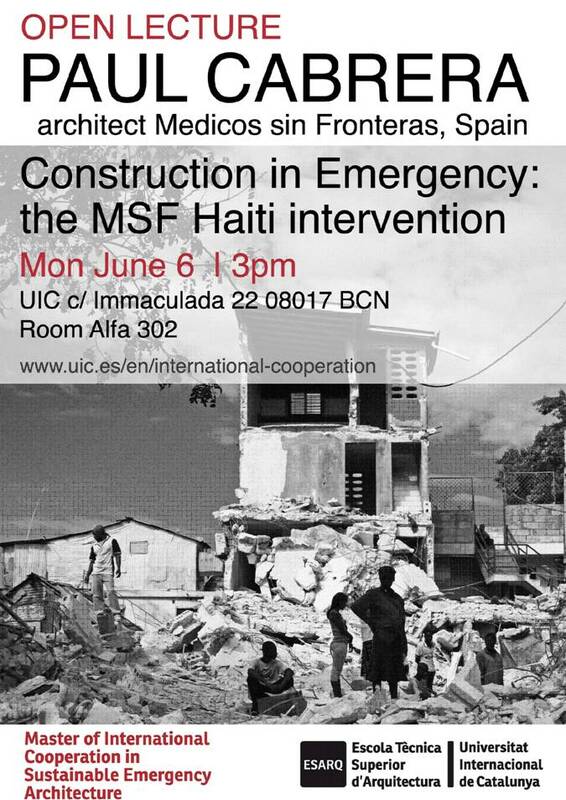 Paul Cabrera is currently working in Headquarters in Barcelona for MSF Spain since 2008 as the technical referent for Construction and Sheltering following and supervising construction projects in all the missions of MSF Spain. He participates actively in emergencies for example in the earthquake in Haiti in January 2010 both during the emergency phase and the strategic plan of reconstruction and rehabilitation. Graduated in Mexico as a Architect in 1997. While working in design and restoration he got the opportunity to rehabilitate some World Heritage buildings following the earthquake in Puebla, Mexico in 1999. He then moved to Italy after winning a scholarship to make a master degree in Architecture, Urbanism and Technologies for Developing Countries in the Politecnico di Torino between 2000 and 2002. He worked as architect for one year in Italy and Urbanism in the Balkan region (Kosovo and Montenegro) after the war. In 2004 he started with MSF Belgium (Doctors without Borders) as a part = of the logistic team. Since then he has been working as logistician, constructor and logistician coordinator in Democratic Republic of Congo, Ethiopia, Pakistan, = Liberia. Author of articles regarding rehabilitation in emergency in urban = settings he is part of the construction working group of all the MSF sections (France, Belgium, Swiss, Holland and Spain).